In simple words with many illustrations and practical applications, this book gives you diagnostic tools and blueprints to build God's kingdom more effectively and efficiently. 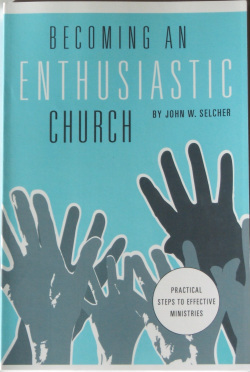 "...the most practical and comprehensive guidebook available on church development." -- Dr. M. John Nissley, Academic Dean, Winebrenner Theological Seminary, Findlay, Ohio. 1) Churches visualize a healthy church, the first step to becoming healthier. 2) Small group ministries transform the lives of group members. 3) Leaders evaluate the health of their church’s small groups, leadership, relationships, spirituality, worship service, evangelism, ministry and organization. 4) Leaders maximize the congregation’s spiritual potential and effectiveness. 5) Relationships in the congregation become more loving. 6) Rekindle passionate love for God, other believers and not-yet-believers. 7) Worship services be a transforming meeting place with God. 8) Strengthen evangelism through connecting with the needs of the unchurched. 9) Place members in fruitful, fulfilling ministries. 10) Churches organize for greater effectiveness. 11) Churches introduce change wisely. 12) Churches and individuals make wise decisions based on God’s wisdom principles. Send your order with a check payable to "John W. Selcher," 750 Spring Garden Drive, Middletown, PA 17057. Email johnselcher@gmail.com with questions.